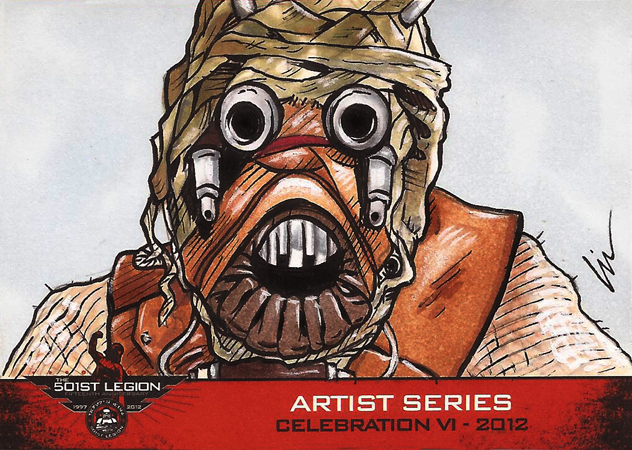 Recently I was asked to do some sketch cards for the 501st– a Star Wars costuming group. I did 10 sketch cards for the group, who will be doing something special with them later this summer at the 501st Bash during Star Wars Celebration VI in Orlando, FL. I’ve got two 501st “artists returns” I’ll have available for sale on my site later this summer. 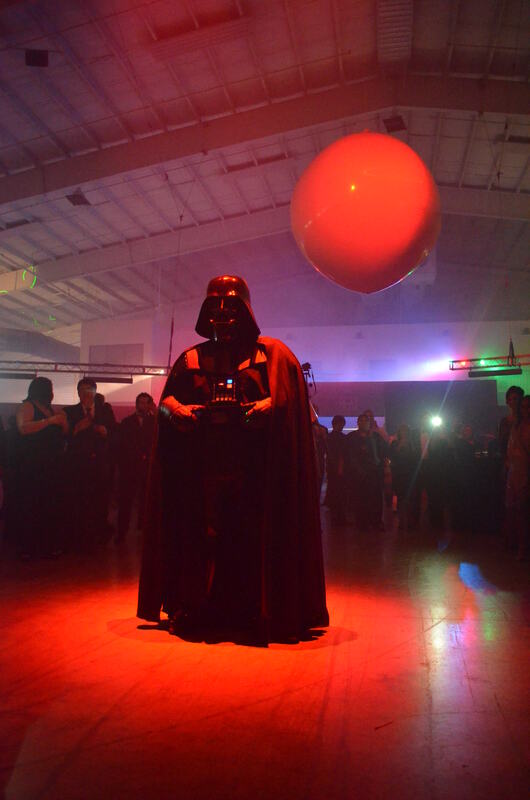 The 501st Legion- “Vader’s Fist” is known as a group of “bad guys”, because they tend to dress up as sith, imperial officers, stormtroopers, tie fighter pilots, sandpeople, jawas, bounty hunters and other scum and villainy from the Star Wars universe. In reality, they actually do a lot of good volunteer work with charities, hospitals, conventions, and events- and not all are “guys”! 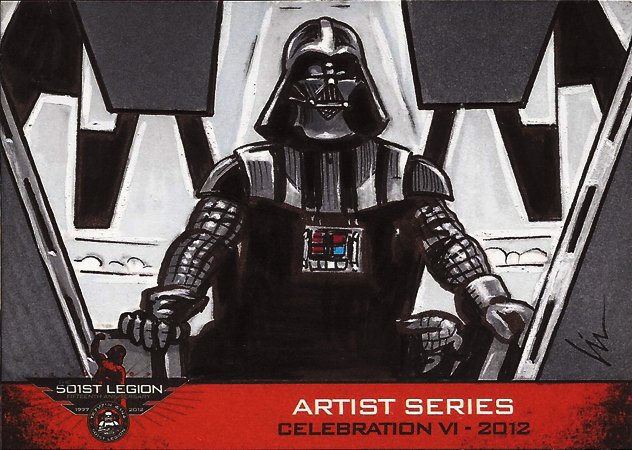 You can see all 10 of my 501st sketch cards here. I’m currently working on some “Mars Attacks” sketch cards for Topps. I’ll post pics of those once I’ve got approved images to share. ← This week The Addams Family Comes to the Orpheum Theatre- and so does my art!